Amazon has this KitchenAid Professional 600 Series 6-Quart Stand Mixer in Silver priced at just $259.99 (reg. $499.99) + FREE shipping. That's just an ok price, but what makes this a great deal is the mail in rebate. Right now you can submit a rebate for $40 + FREE subscription to either Travel & Leisure or Food & Win Magazine here! However, if you would rather not receive the magazine subscription, you can choose to request a $24 refund! 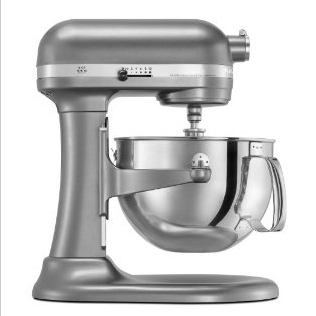 That means that after mail in rebate, you can get this mixer for just $195.99 shipped! 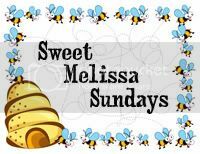 Requests must be postmarked no later than 4/24/12. I know that there are sometimes deals on the KitchenAid 5-Quart Artisan Mixer for around $150, but I would urge you to spend a little extra money and invest in the professional series. Unlike the Artisan series, the Professional series is made with all metal gears, so it will last a lot longer. Prices on Amazon are subject to change at any time, so be sure to act quick if you want this mixer! * Please note that the KP26M1PSL model number may not be listed on the rebate form, but KitchenAid Customer Service has verified that this model does qualify for the rebate. If you would like to verify for yourself before ordering, simply call 1-888-474-2457. I took full advantage of this deal - THANK YOU for bringing it to my attention!